Yoshidamachi 2-chome, Yokohama, Kanagawa Prefecture. In front, a rickshaw with passenger can be seen. 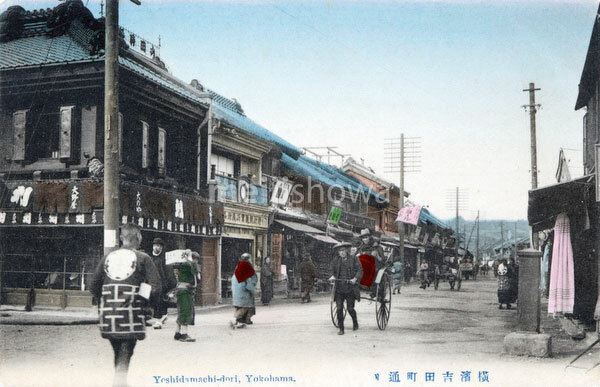 Shops from left to right: Ohnoya Tabi shop (大野屋足袋店), opened in 1894 (Meiji 27), Yamada Watches (山田時計店) and Daiichi Yurindo (第一有隣堂).